As per the report prepared by an assistant professor of the History Department of Rani Channamma University, documents claimed to be pertaining to the property of Sangolli Rayanna, which were found recently at Sangolli village in Bailhongal, are not “authenticate”. 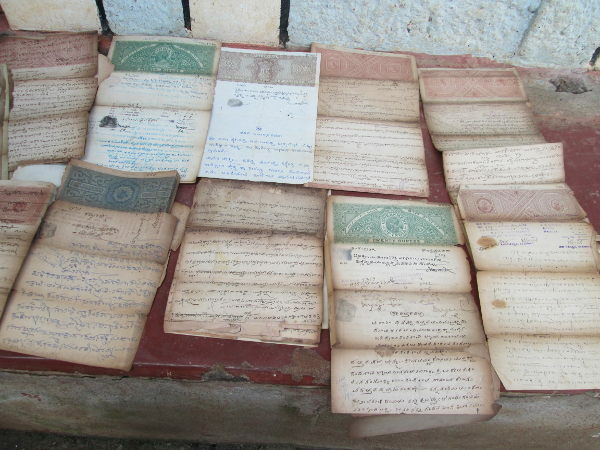 In a press release by the university, its states that History Department, Amaresh Yatgal visited Bailhongal, Sangolli, Bevinkoppa and a few other villages, met a host of people, including descendants of Rayanna, and saw their property documents. Dr. Yatgal concluded that the documents were not authenticate and were fabricated for different reasons. One Mallikarjun Kodalli claimed that the documents — said to be property agreement between Rayanna’s father and paternal uncle — were found during the renovation of an old house. They have been submitted to the Assistant Commissioner of Bailhongal for verification.